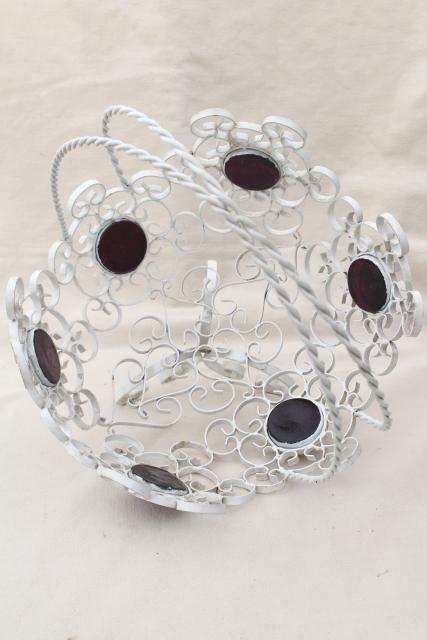 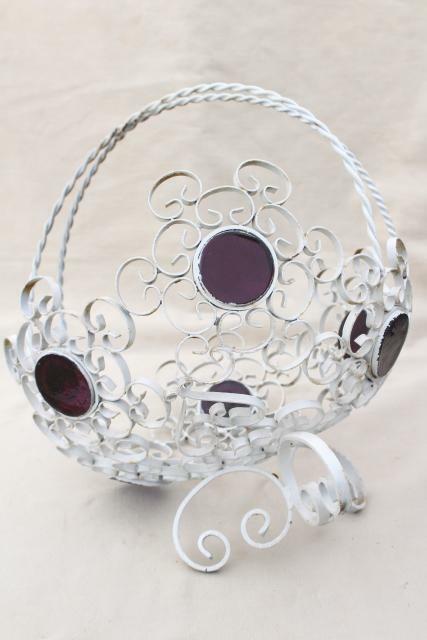 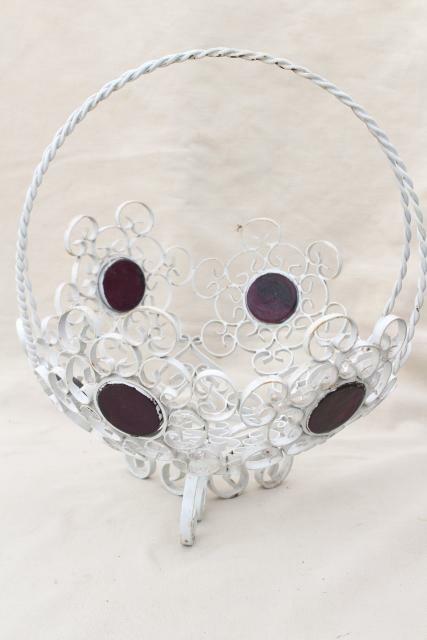 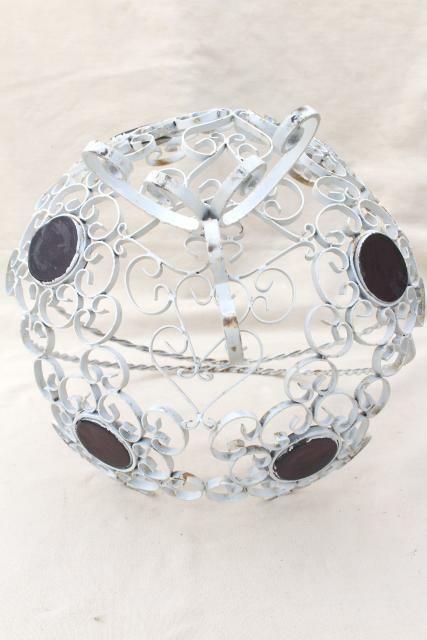 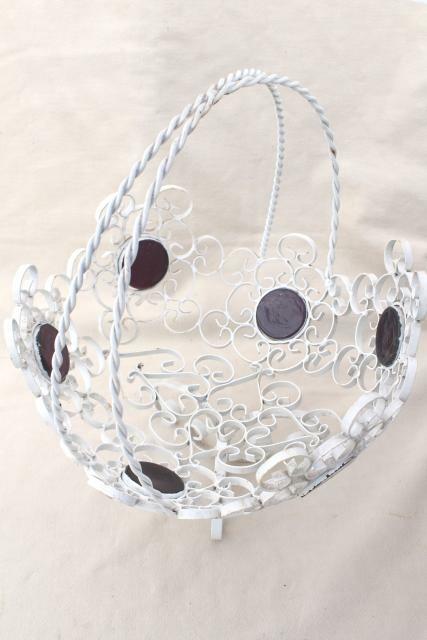 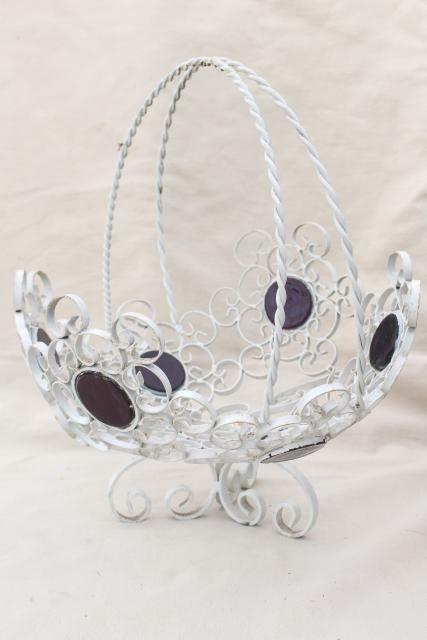 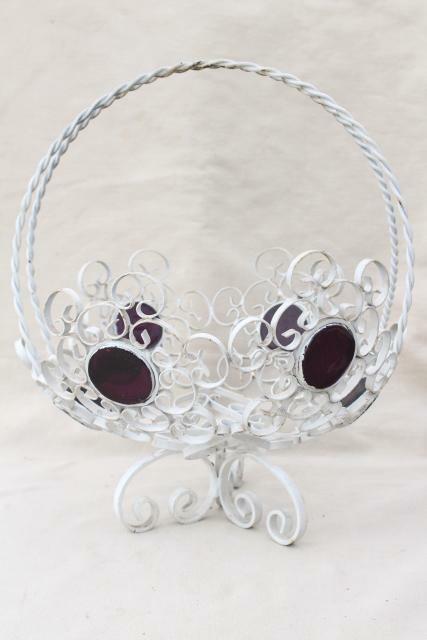 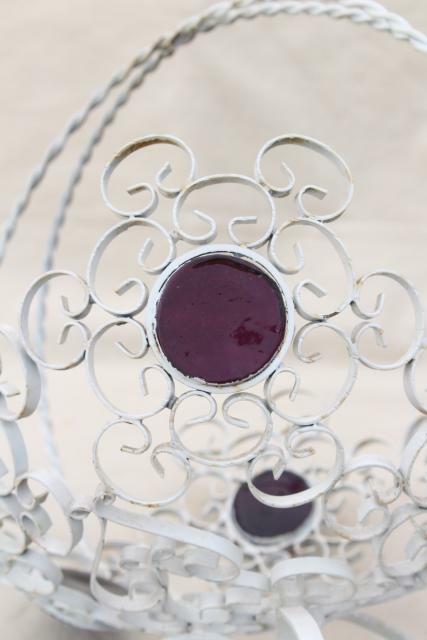 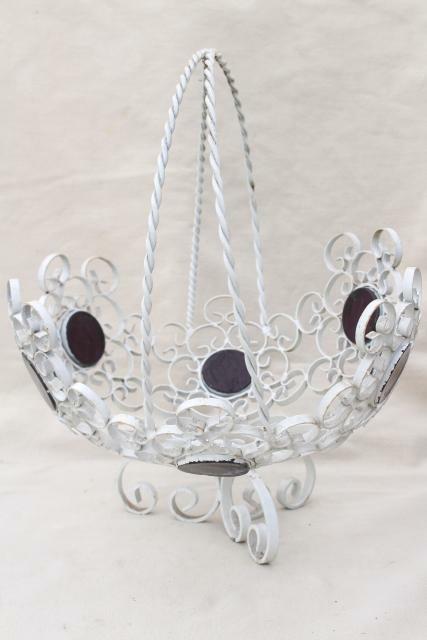 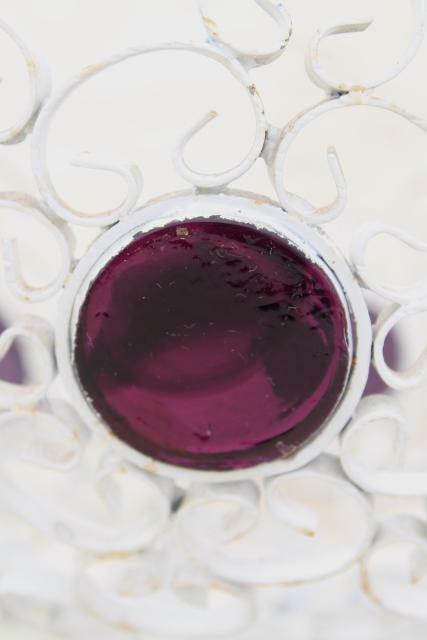 60s vintage brides basket, white painted wrought iron curlicues accented with large dots of amethyst purple glass. 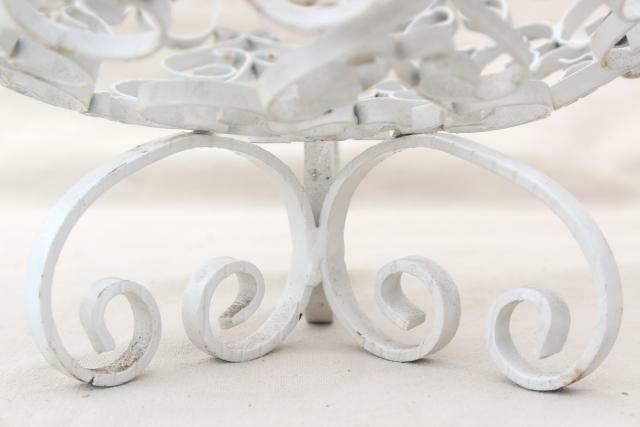 Pretty, shabby chic style! 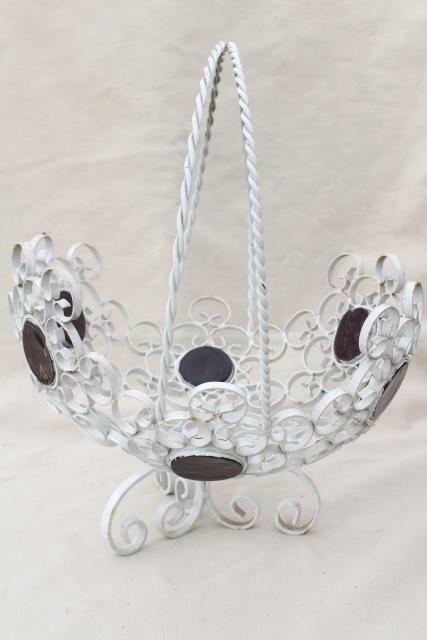 This measures about 12" in diameter across the bowl, stands about 15 1/2" tall overall.